Plastic packaging is often criticised for the pollution it causes, but if treated properly, it can also help to save resources and energy. The plastics sector is campaigning to put an end to the disposal of plastics in landfill. EURACTIV France reports. The French environmental organisation Eco-Emballages wants to see a reduction in the amount of plastic packaging that ends up in landfill. Only 23% of packaging is currently recycled in France, the majority of which is made up of plastic bottles. 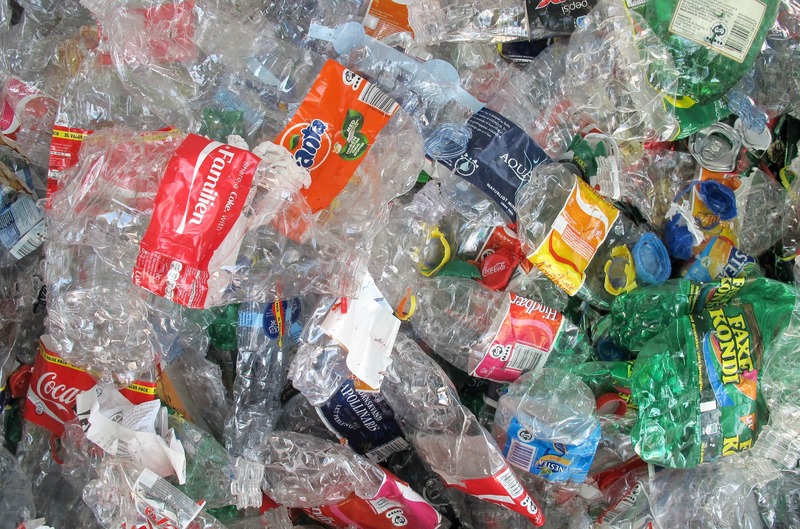 PlasticsEurope, the European association of plastics manufacturers, says the recycling situation varies greatly from one country to another. France comes 10th in the EU’s waste recovery rankings, with a recovery rate of 62%. In 2012, the broad range of waste recovery rates in the EU varied from 12.4% in Malta to 99% in Germany. Switzerland is ahead of the European Union in this regard, with a recovery rate of 99.8%. Germany is the European Union’s leader in terms of plastic recycling. “Germany has always had an economical approach to resources, which have been seen as a competitive sector for defending their industry. So they have made good progress in the domain,” said Michel Loubry, Director General of PlasticsEurope for Western Europe. He added that “real political will is needed [for countries to improve their performance], as well as an acceptance that we can no longer use landfill for recoverable waste”. Plastic packaging accounts for close to 39% of the total European plastics market and 62% of the plastic waste generated in the European Union each year. PlasticsEurope wants to increase the recovery rate for plastic waste in the weakest performing countries by renewing their recycling systems, or by placing an outright ban on the disposal of plastics in landfill. The Barroso Commission had agreed to revise the Waste Framework Directive and the Packaging Directive, and PlasticsEurope would like the new texts to prohibit the disposal of plastics in landfill. “We know that the European Commission is very receptive to this idea,” Michel Loubry said. “It is most important to put in place a zero landfill system for plastic waste in Europe’s six most populous countries. That would resolve 80% of the problem,” he added. The European Parliament and the Council agreed on 19 November to reduce the consumption of plastic bags across the 28 member states. A move already criticised by some for lacking ambition. Each country will be able to fix its own targets in order to reduce the consumption of bags thinner than 50 microns; the majority of plastic bags consumed within the EU. These could range from placing a compulsory charge on plastic bags to taking measures to reduce, or even completely eliminate, their use. An estimated total of 8 billion plastic bags pollute Europe every year. Each year, the Danes and the Finns use an average of only four plastic bags each, while the Poles, the Portuguese and the Slovaks average 466. In April, the European Parliament came out in favour of reducing the consumption of light-weight plastic bags by 50% by 2017, and 80% by 2019, compared to 2010 figures. France has already taken the initiative on the subject, and has introduced a complete ban on plastic bags, effective from January 2016. The European Commission presented its circular economy package in July, in which it set the objective of recycling or reusing 70% of all waste, and 80% of packaging, by 2030. By 2025, it will also be illegal to dispose of recyclable plastics, metals, glass, paper, cardboard and biodegradable waste in landfill. The package is currently under discussion in the European Parliament Committees, but the institution has come under pressure to make some of the objectives of the circular economy package less ambitious. An association of waste management experts has expressed concern at the possibility of changing the Barroso Commission’s initial proposal. In a jointly signed letter they urge Jean-Claude Juncker not to dilute the circular economy package. European citizens generate an average of 503 kilos of waste every year. Amounts vary from 300 to 700 kilos depending on the member state. According to a report published in March by Eurostat, the European Union Office of Statistics, in 2011, 37% of this waste ended up in landfill, 25% was recycled and 15% was composted. Around 23% was incinerated, generally to generate energy. Germany, Austria, Belgium, Denmark, the Netherlands and Sweden have largely abandoned the practice of burying waste. Romania, Bulgaria and Malta, on the other hand, still dispose of almost all of their waste in landfill. The Commission estimates that Europeans use an average of 15 tons of resources per year.